Almost everyone loves visiting the beach. For some, that love is found in early morning fishing and always searching for a new seafood restaurant to try. For others, it’s about who can ride the biggest wave and stretching out in the sun with a good book. 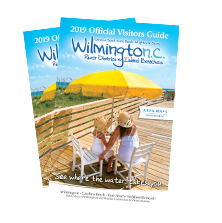 For me, visiting the ocean is now about looking past the rows of colorful beach houses lining the shorefront and truly seeing the natural beauty of the Wilmington area beaches. My experience at UNCW’s MarineQuest camp this summer taught me how to fully appreciate the ocean and the things living in it. Four out of the five full days of camp were spent doing activities on the beaches or in the estuary. We were constantly outside because nature always had something to teach us, whether we were splashing in the deep tide pools of Masonboro Island Reserve near Wrightsville Beach or exploring the fascinating marine life living in the Coquina rock outcrop at Fort Fisher. MarineQuest consists of a number of day and residential camps for youth ages four to seventeen. The majority of students are from North Carolina, but there are also quite a few who come from all over the country and the world! The camp that I attended is called Shore Shots and most of the campers were from the East Coast. I even met a girl from Kentucky. During the week we visited the beach nearly every day, went kayaking, snorkeling, explored barrier islands, and visited the Karen Beasley Sea Turtle Rescue and Rehabilitation Center, about an hour north of Wilmington. The goal by the end of the week was to have created a public service announcement about the ocean. Everywhere we went, our cameras went. One group created a PSA about the dangers shorebirds face in North Carolina. A couple of groups, including mine, made theirs about helping endangered sea turtles. One of my favorite things about camp was the friends I made. By the end of the first night we were already talking and joking like we had known each other all week. A strict “no cell phone” policy also helped us forge tight bonds that were reluctant to break on the last day. 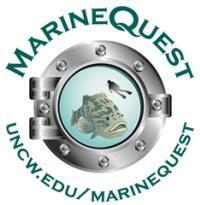 MarineQuest was a very friendly and open learning environment, and the counselors were great. In all honesty, I first thought of this camp as a good chance to go to the beach and meet new people. After just the first day I realized that MarineQuest is about so much more than that. The camp really makes you feel for the ocean and understand the conservation efforts in place. I got to do things I’ve never done before and observe the most beautiful side of the coast. MarineQuest is the official marine science outreach program for the University of North Carolina Wilmington, Watson College of Education, and the Center for Marine Science providing young people with opportunities to explore, discover and value our marine habitats. For more information, please visit MarineQuest. Josie is a freshman in high school. She volunteers as an animal ambassador at her local science center and pet sits for neighbors as much as she can. She likes to write and explore on foot and on water. Her dream job is to be a National Geographic Explorer, traveling the world and writing about nature and science for National Geographic magazine.